"Eliza has requested a cheese party for her birthday. Come and enjoy cheese appetizers and desserts and celebrate Eliza turning four!" 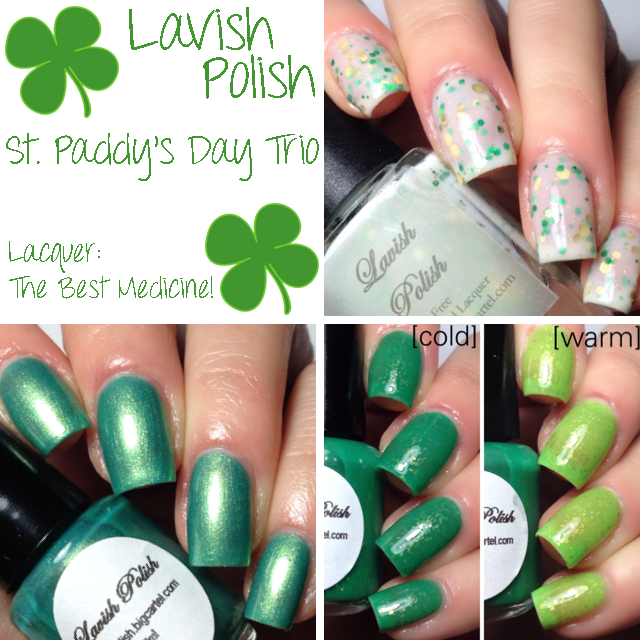 Today I have Lavish Polish's St. Paddy's Day Trio to share with you. Let's get to it! First up is Paddy's Pub, which is a milky white crelly base (you know how I love my crellies!) with small green and gold hexes and larger gold hex glitters. The formula was very nice for this polish. I used 3 thin coats with topcoat (Glisten & Glow HK Girl) for the swatches below. Next up is Kiss Me I'm Shiny (love the name!). Kiss Me I'm Shiny has a green base with a subtle gold shift and gold shimmer. This one also had a wonderful formula, and it was even and opaque in two easy coats! Finally, we have Lucky Charm. 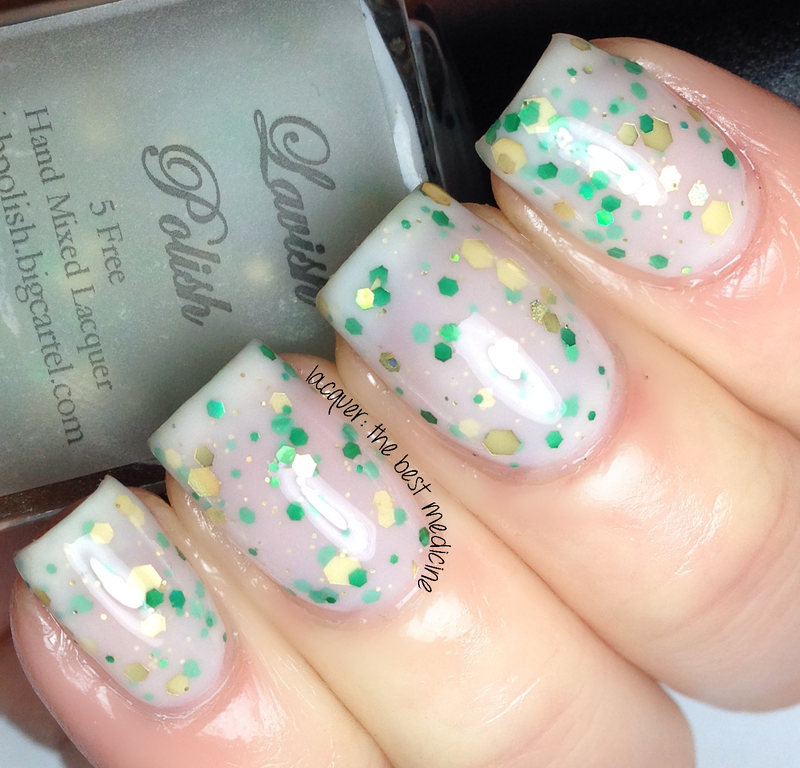 Lavish Polish is known for their amazing thermals, and here's another one to add to that list! 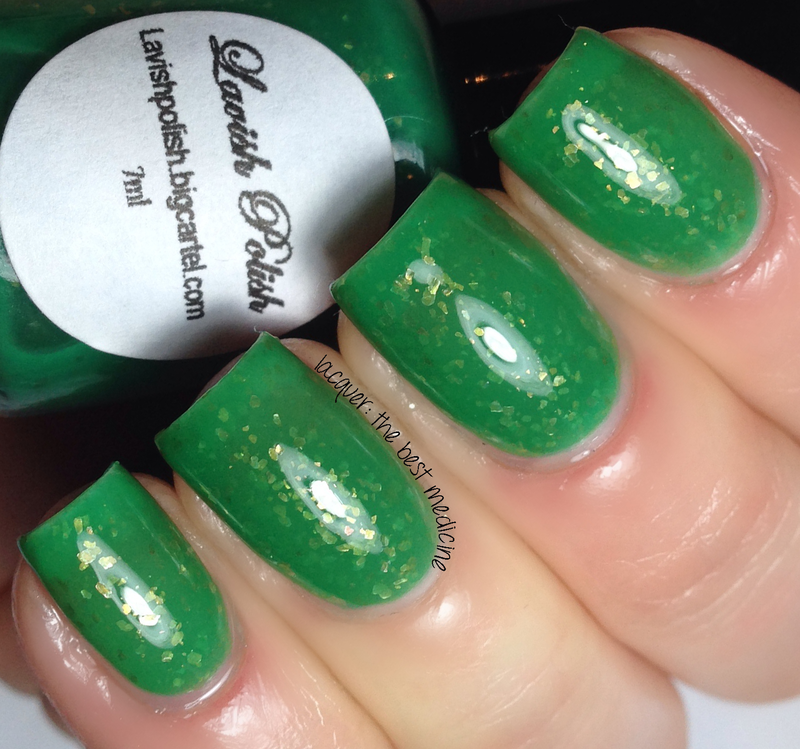 This polish is an awesome jelly thermal that is a vibrant leaf-green color when cold, and a bright, light green when warm. To add to its beauty, there are gold flakies sprinkled in there! Love it, love it, love it! I used two coats with topcoat for the swatches below. Which one is your favorite? Can't choose? Pick up the whole trio! You can get it in full-size bottles as well as mini bottles. I really love the "paddy's pub", so cute! What a great trio! Perfect set for St. Patrick's Day too. 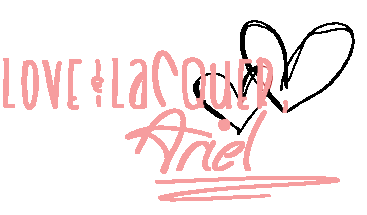 These look amazing, Ariel, that green thermal is perrfect for st pattys!